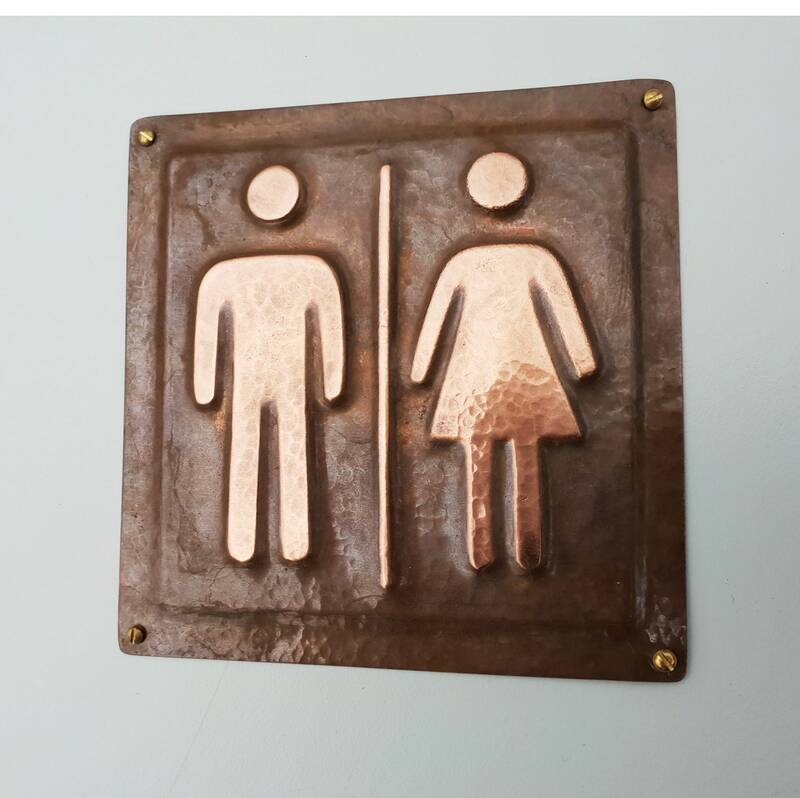 1 x Unisex toilet lavatory sign Plaque - pressed from one piece of eco friendly copper. 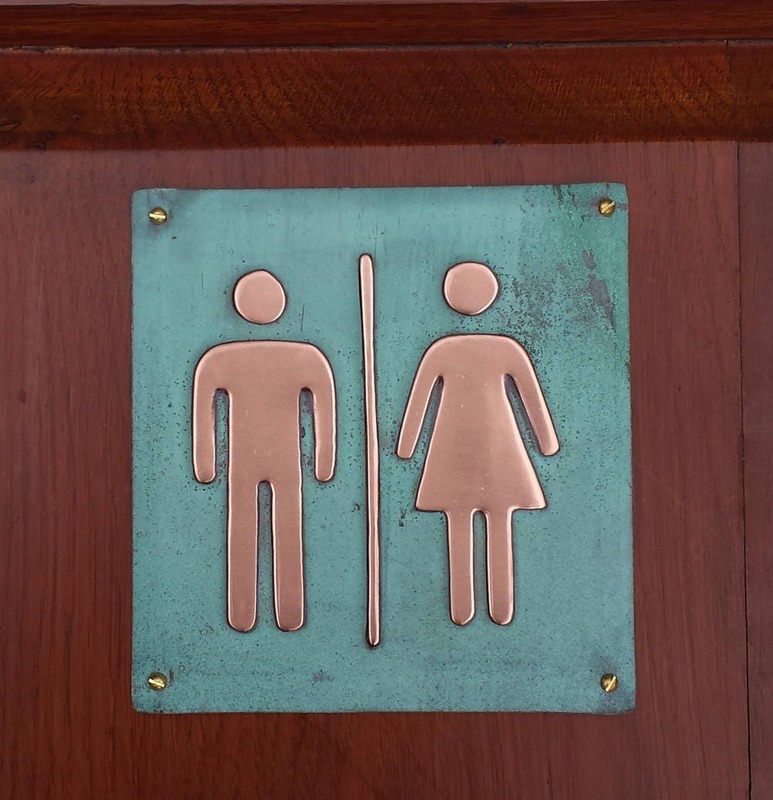 Plaque can be fixed onto wood with copper rose head nails or wood and masonry with brass round head screws. 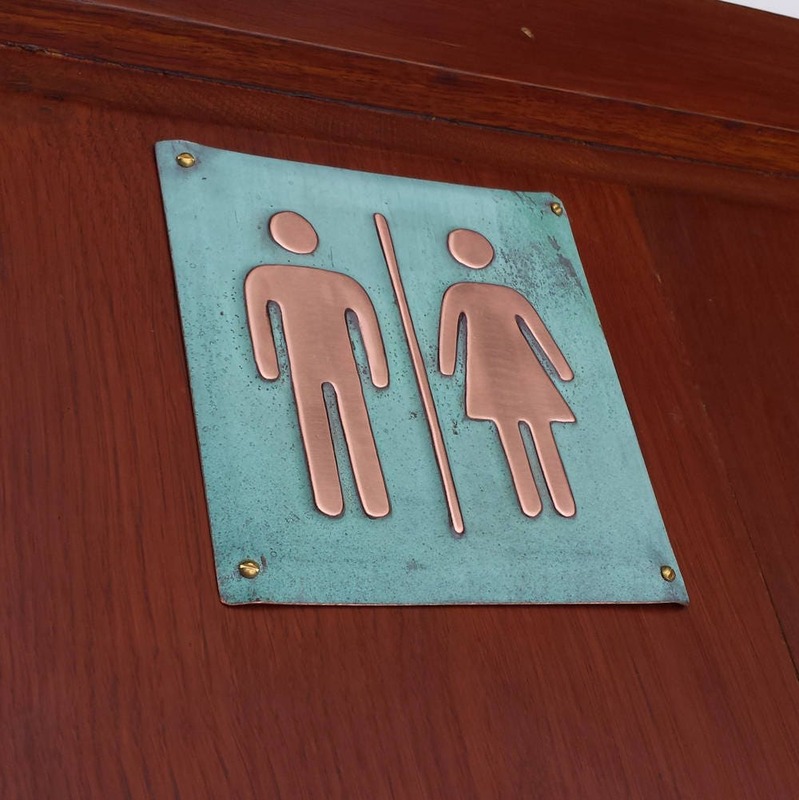 The polished copper is lacquered, the patinated is left 'as is' and will improve further with age and humidity. Love the sign! Lots of compliments.